For the second post in the Cooking with Le Creuset Series I’ve decided to road test a lidded casserole from their new stainless steel collection. Now when you think Le Creuset and casserole the first thing that springs to mind is their enamel cast iron pans which are famous the world over. Most people are familiar with them and if you’re lucky enough to own one you’ll know they are the sort of pans that last a life time and more – I have friends who have inherited their grandmother’s Le Creuset cast iron pans! I’ve had my large round Le Creuset casserole for almost 20 years and it’s still as wonderful as the day I took it out of the box. So whilst there’s certainly a spot in every good kitchen for a nice heavy cast iron pan or three, there’s also a need for good quality stainless steel pots and pans and it’s these pans that form the back bone of most kitchens. So I was interested to see how Le Creuset’s stainless steel range would perform and I thought it would be good to choose a recipe I would normally use my cast iron pan for and see how it fared in stainless steel. The Le Creuset stainless steel range is made from 3 ply stainless steel with an aluminium core that makes for excellent heat distribution. The aluminium core is actually sandwiched between all the layers from the base to the rim, so no nasty hot spots. 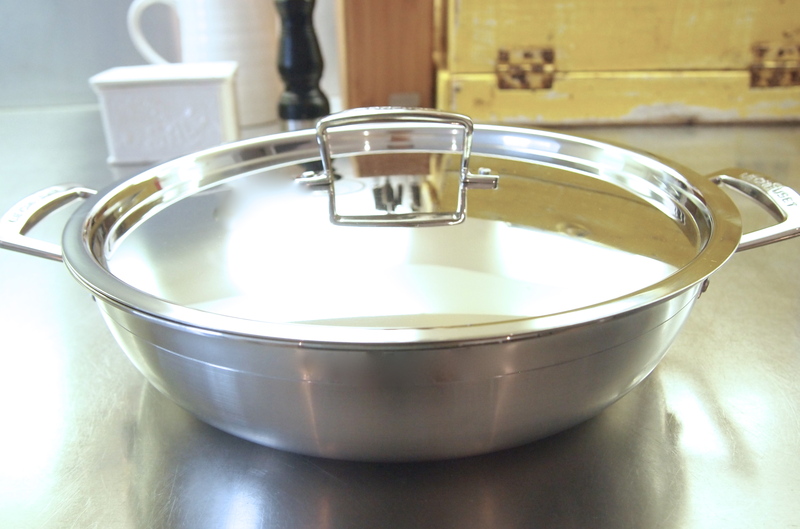 The base is also nice and thick so you won’t be scorching food easily. They work on all cook top surfaces and come in a multitude of shapes and sizes. They can also be used both on the stove top and in the oven which is very handy. The stainless steel range is dishwasher safe and my pan came out of the dishwasher nice and sparkly. 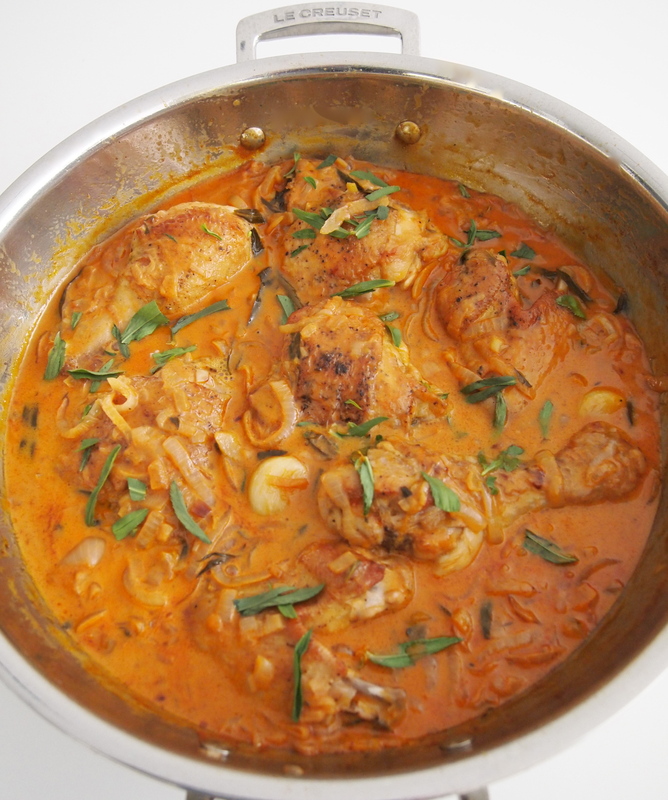 The 30cm shallow casserole I used is a particularly handy size for all manner of braises and stews and it comes with a lid which makes it perfect for slow cooking in the oven. 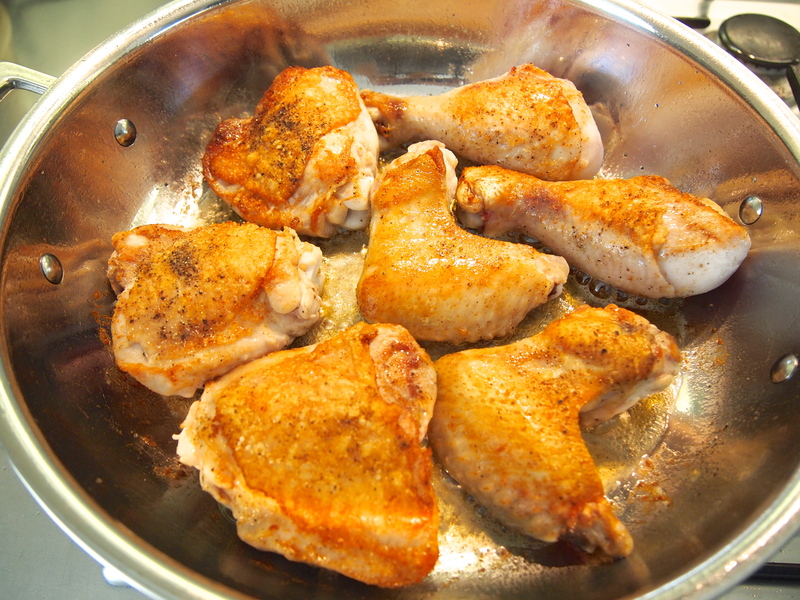 I pan fried the chicken pieces in the pan before deglazing. The chicken browned beautifully and left a nice caramelisation on the bottom of the pan which translates to amazing flavour in the finished sauce, just one of the reasons why these sort of braises always turn out better in pans that are not non-stick. I couldn’t have been happier with the results! This recipe for chicken with tarragon and sherry vinegar is a classic French casserole and something you’ll find on many bistro menus. This particular version comes courtesy of Patricia Wells and her wonderful cookbook At Home in Provence. This is the sort of fuss free French cooking that I love – refined enough for the fanciest dinner but so comforting and easy that it’s also perfect for a casual family meal. The chicken can be served with rice, potatoes or just some crusty bread with a green salad being all that’s needed to round off the meal. Generously season chicken with salt and pepper. 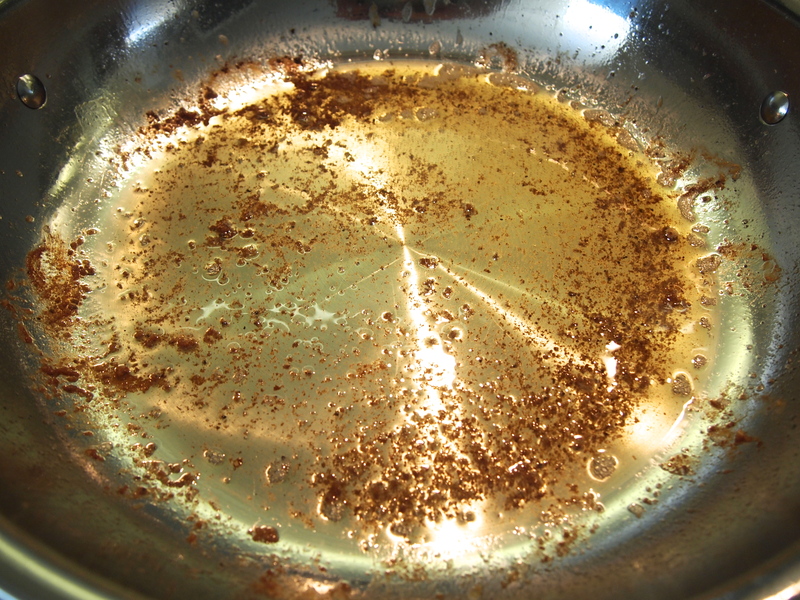 In a large shallow sided pan, combine oil and butter over high heat. 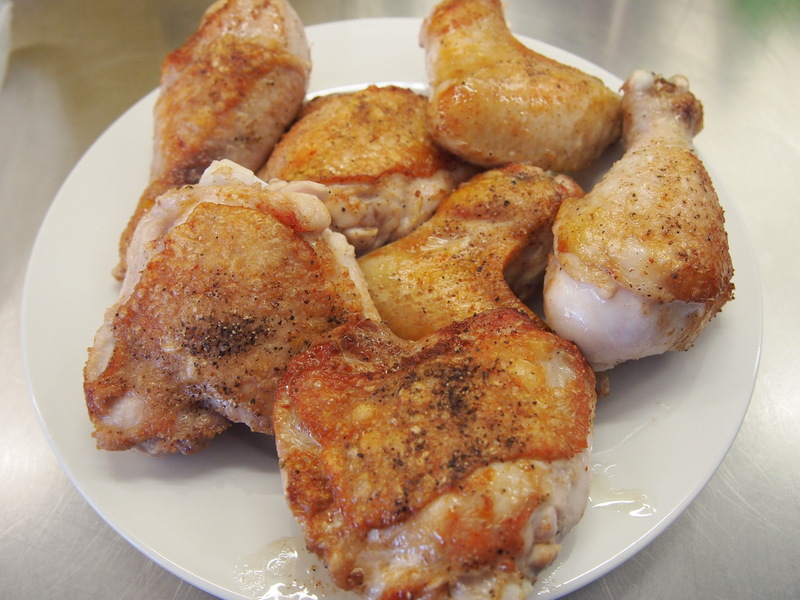 When hot, and working in batches, add the chicken skin side down and cook until golden brown on one side. This will take about 5-7 minutes at least and the best way to achieve great colour is to leave the chicken alone and not move it around at all. Once the skin side is golden turn the chicken pieces over and brown a further five minutes on the other side. Keep the heat regulated so the skin doesn’t scorch. When all the chicken is browned, remove to platter. Pour off and discard all but 2 tablespoons of fat from the pan. 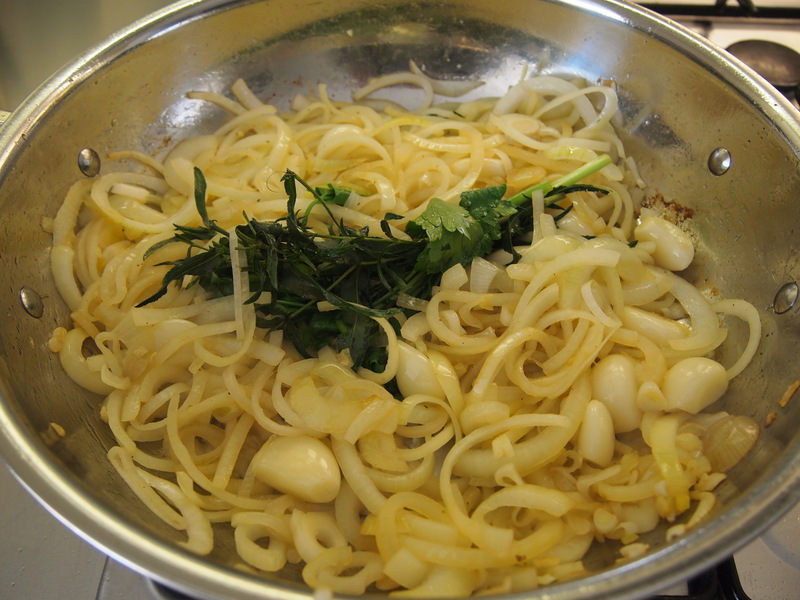 Add the onions, shallots, garlic and bouquet garni and season lightly with salt. 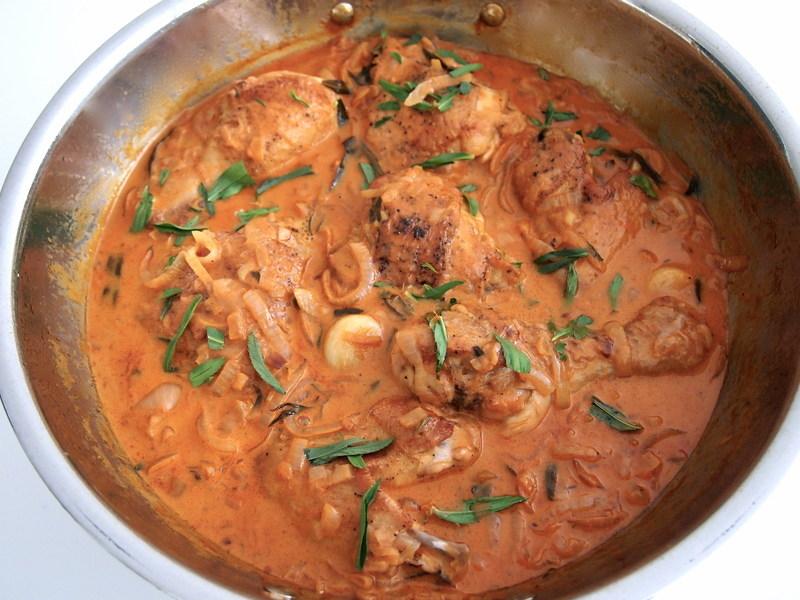 Sweat by cooking over low heat without colouring for about five minutes. Add 3 tablespoons of sherry vinegar to the pan and stir to combine. Return the chicken to the pan and cook covered very gently over low heat, stirring occasionally to make sure it doesn’t catch, until the chicken is cooked through, about 35 minutes. Remove and discard the bouquet garni and transfer the chicken to a platter. Over moderate heat slowly add the remaining 3 tablespoons of vinegar, scraping up any bits that are stuck to the bottom of the pan. Add the chicken stock, tomato paste, mustard, and half the tarragon and stir to blend. 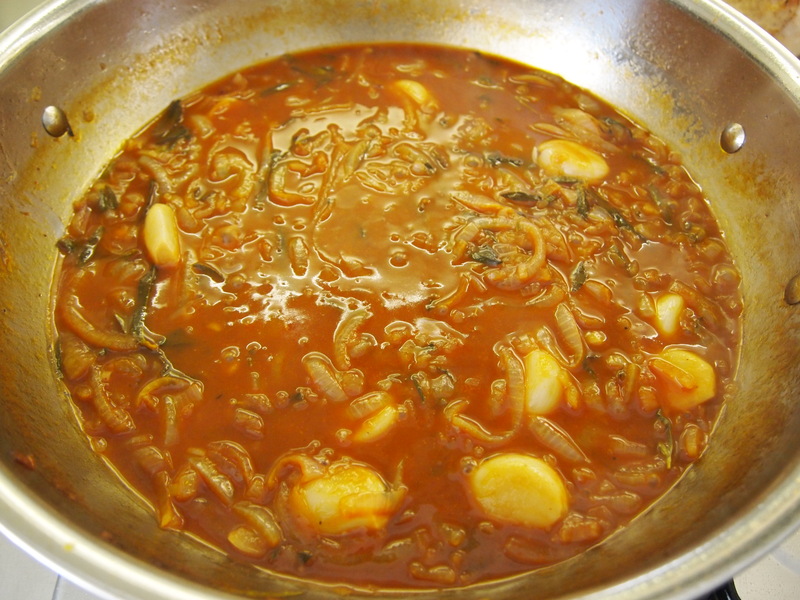 Increase heat to high and bring to boil, cook until sauce is thick and glossy, about 7 minutes. Turn the heat to low and add the cream, stir to blend, the resulting sauce should be thick, creamy, and fragrant. Taste for seasoning. 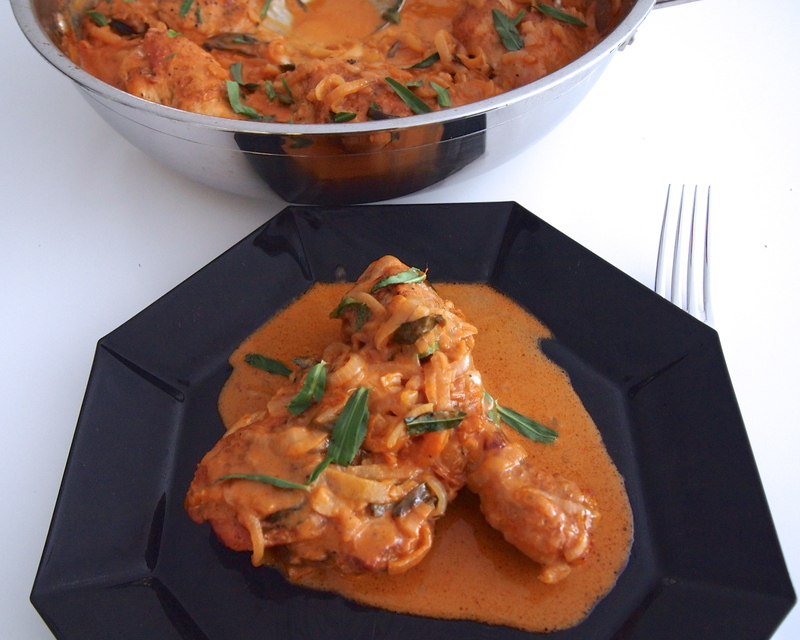 Return the chicken to the pan and spoon some of the sauce over all the pieces. 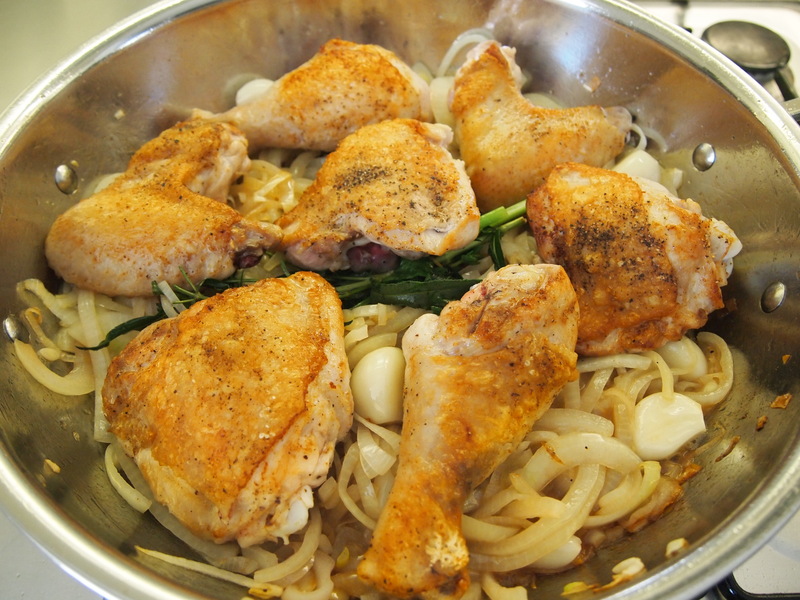 Bring to a simmer and cook very gently until the chicken is heated through. Sprinkle with the remaining tarragon and serve immediately.